Today we wanted to talk about something that we know will illicit a collective *groan* from our readers. Rules and Regs. Fortunately, the regulations here in the United States are not overly burdensome, and in fact here in the United States (as opposed to other countries), you do not need permission from the FAA to fly your drone. That being said, there are some guidelines you should follow. And while this may not be the most exciting topic, following these guidelines will keep you from paying out big fines, while keeping you a your quadcopter safe to fly another day. Before you do anything, get to know the FAA official regulations Rule for Model Aircraft1. This sets the regulations for all model aircraft and contains clear guidelines that you must follow. Keep in mind that these guidelines pertain to all drones being flown for recreational use. Probably the biggest rule on the list from a government’s perspective is keeping your drone at or under 400 feet at all times. The FAA also has a set of restricted areas and requirements. You want to make yourself familiar with these areas, from any penalization. Crashing your drone is a horrible experience, take it from one who knows. In order to keep your vehicle integrated while abiding by the law, keep your flights to open fields and shy away from obvious obstacles to avoid personal and community damages. You’ll also want to keep your drone in sight at all times. Even if your drone is equipped with a good flight camera this is a good rule of thumb to abide by. Another important rule laid down for safety is to never fly over groups of people. If something was to happen and someone is injured you may face many problems due to this incident. 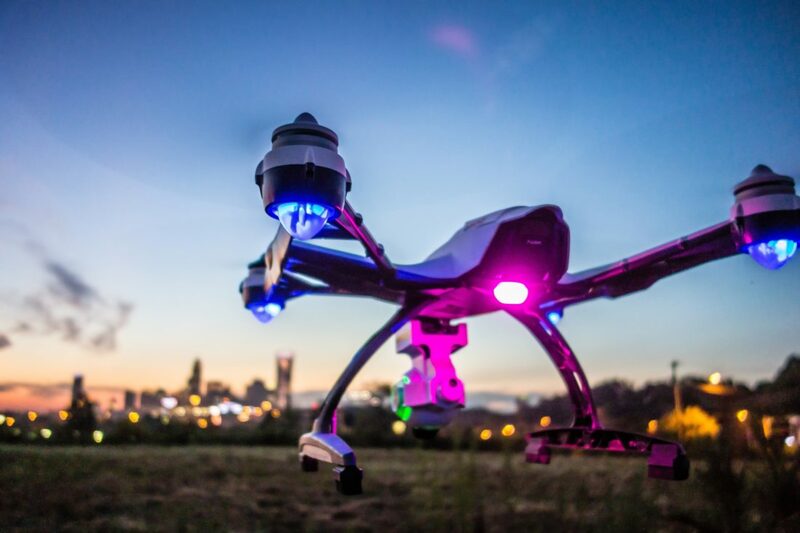 Many individuals like to video or photograph sights from their drones, but you want to avoid this over sporting stadiums and government-based operations. Also, you should never operate your drone if you are under the influence of drugs or alcohol. You must also operate your aircraft according to the community-based safety rules. The aircraft must also be 55 pounds or under, or otherwise, must be certified by construction inspection. You must also complete the safety operation program for the area you plan to fly your drone in. Generally speaking, stay away from other manned aircraft, or airports for that matter. If you have an inclination that your flight time may affect a manned aircraft, it’s best to take the safe route and abort your run. More specifically, FAA regulations states that you must have clear communication with the air traffic control tower to ensure you do not cause a life-threatening incident if you are within five miles of an airport . If you need to fly in this area regularly you will need to obtain a mutual agreement with the air traffic control to ensure safety. Any model aircraft or drone is defined as an unmanned aircraft that is able to engage in flight within the air. It also means that the aircraft is always operated within the direct line of sight of the person operating it. If you would like to obtain your USA registration, you can expect to pay about $5 and this will last for three years. In order to be able to register, you must be 13 years old or older. You must also be a legal or permanent resident of the United States. You will need an E-mail address, credit or debit card, and physical mailing address. In conclusion, recreational drone flying is a great hobby and is gaining popularity quickly. We would like to help people to better understand the guidelines for safe operation so yourself and others can enjoy recreational drone flying. You can refer to the FAA official website to help you find more information on the area you are going to be flying in. This will make for a much more enjoyable time flying your drone and will help to keep everyone safe.